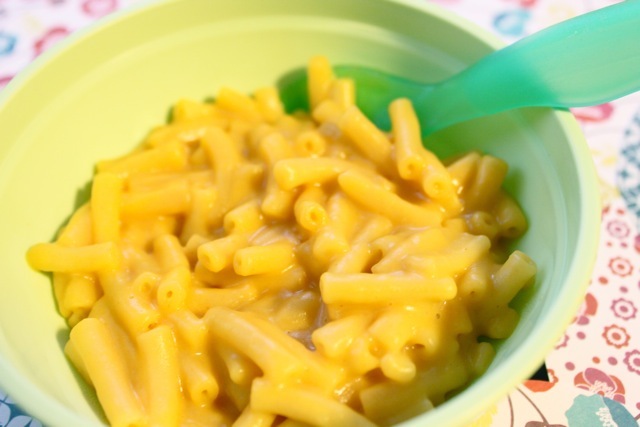 Back to basics tip #12: If your child is like mine, she has her favorite foods. 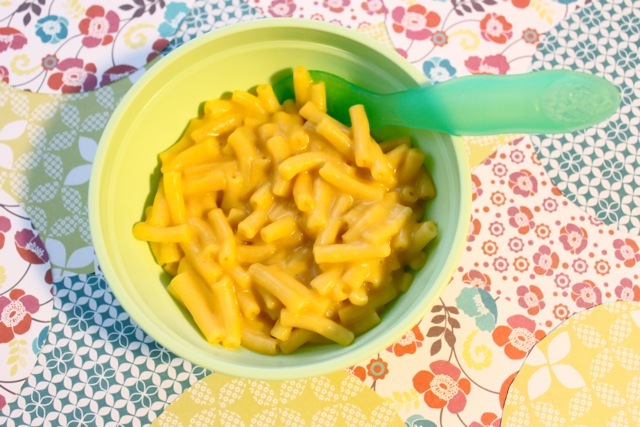 A staple food for Kaye is macaroni and cheese. To make it healthier, I add puree squash to it. Try it next time. My kids prefer it with the squash now. I know there are recipe books that incorporates vegetable purees into meals to make it healthier, one of which I own called Deceptively Delicious by Jessica Seinfeld. Prepare macaroni and cheese as directed on the box. Add the powder cheese, butter and squash to the macaroni. Exclude the milk. » Tell me… Do you sneak healthy food into your children’s meals? How do you get your kids to eat healthy? i love the placemat you made. so cute! thanks for sharing the link. I put fresh spinach on our pizza and sometimes in a pasta casserole. I bought a vita-mix a couple years ago at costco. I love to make smoothies with all kinds of veggies hidden in smoothies and pureed to put in chili. I put spinach in chili. Carrots in a fruit smoothie and make green smoothies with spinach, pineapple, green grapes, mango chunks. It’s fun and I feel so good about giving my kids lots of fruits and veggies for fuel. check out vita-mix.com for lots of great recipes. I keep fresh produce in the house for snacking and a sugar-free home to avoid the sweet tooth cravings. Face it, we ALL do it. We use agave when we bake for a better sugar substitue, which, is on the rare occasion. I have tested this, and it is tried and true, the kids eat healther, sleep better, and are more well-behaved when they don’t have sugar in their little bodies. It’s tough, a life-style change but completely do-able. that is a great tip! i try to keep junk food out of our house too. and it is amazing how much of a difference sugar can be in those little bodies. I had to laugh at this post, both my kids are great fruit and veggie eaters, not a lot of junk food here, but I know how difficult it can be, my 2 nieces are horrible at eating things and very picky still even though one is now 21 and the other 16. I generally tell them eat what I make or starve. LOL For my little one I buy Annie’s Mac & Cheese because it does not need the butter to make it and then I add peas or corn or carrots to it. Hi Tiffany! I know this is an older post but I was just browsing through your site and found it – just wanted to say I have that Deceptively Delicious book and I love it! My favorite (and my kids favorite) thing in there is the Avocado dip made with greek yogurt and avocado – the girls devour it quickly. I also sneak pureed broccoli into spaghetti sauce sometimes, and it works great!